BOOM! Brand new MLSP member Daniel Williams came out of the gate running this week. Just shows that when you take action, use the MLSP attraction marketing formula, and post value, you get results. We see many more leads in this dude's future! Great job sir! 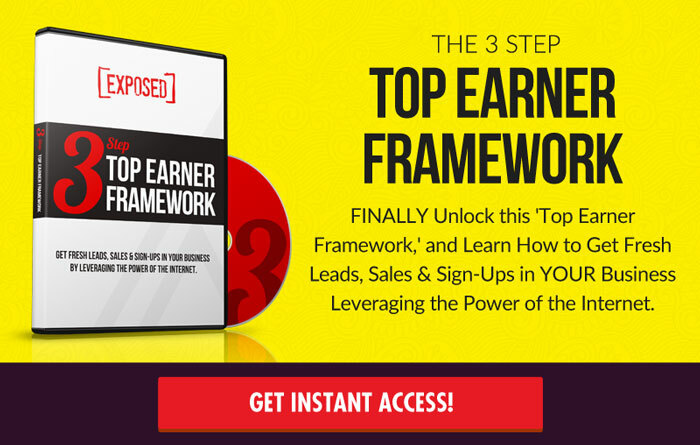 “Only 3 days running and I have consults, 10 day trials and MLSP sign-ups! Marcie Guillot Hargroder started her mentorship program with coach Antonio Thompson. 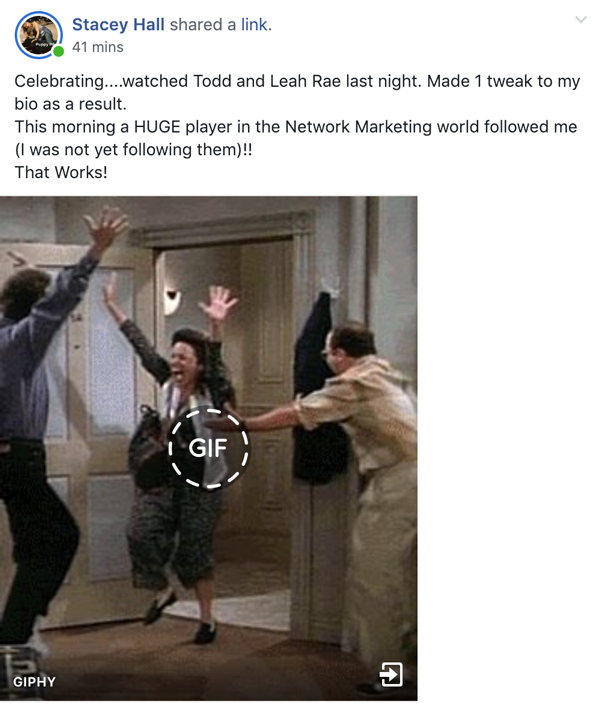 He's a superstar Facebook Ads expert and since Marcie is a diligent student…she's seeing some awesome results already! Way to take action Marcie! 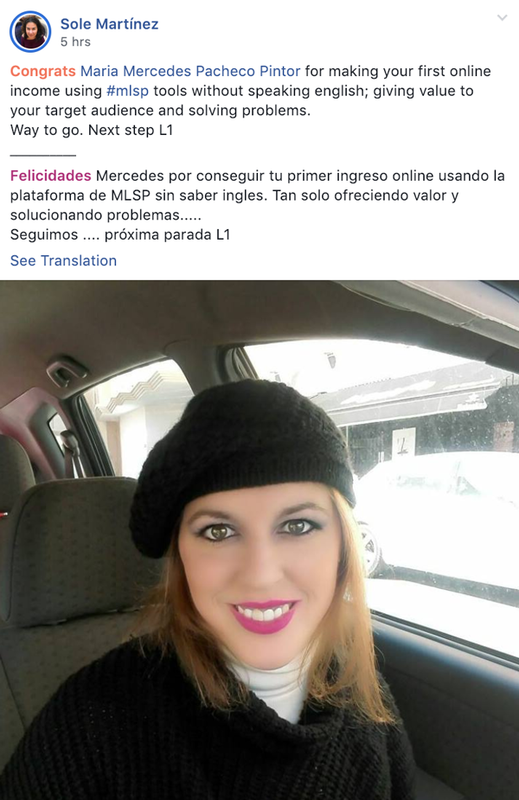 Maria Mercedes Pacheco Pintor proved this week that attraction marketing the MLSP way works across all languages. She got a nice shoutout from Sole Martinez this week for smashing it out of the park this week. New Member John Feliciano proved this week how important it is to have the MLSP Private Member's Only Facebook Community to turn to. Not only did he have a great group of like-minded people to celebrate his first lead with…he also got to ask a question so he can get the most out of that first lead! That's what our community does, and we couldn't be more proud! Congrats John. Many more to come your way! 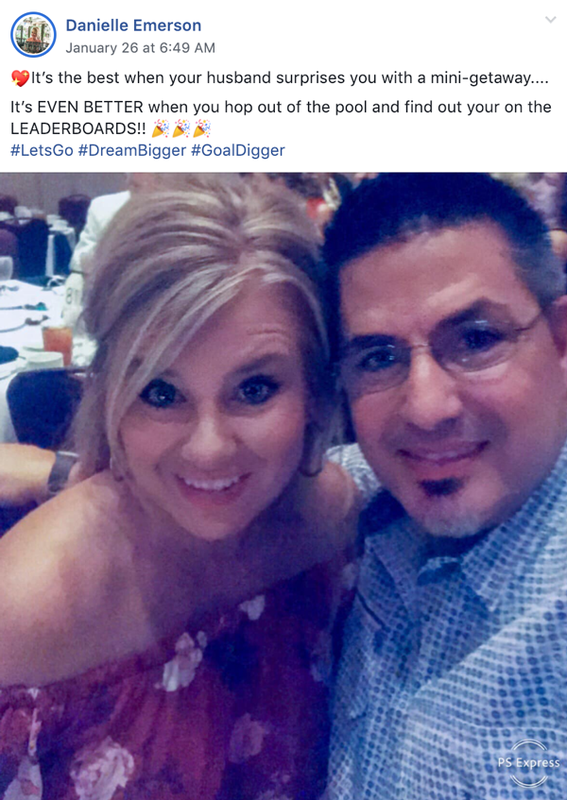 She Found Out She's On the MLSP Leaderboards During a Surprise Mini-Getaway! Danielle Emerson got two nice surprises this week. 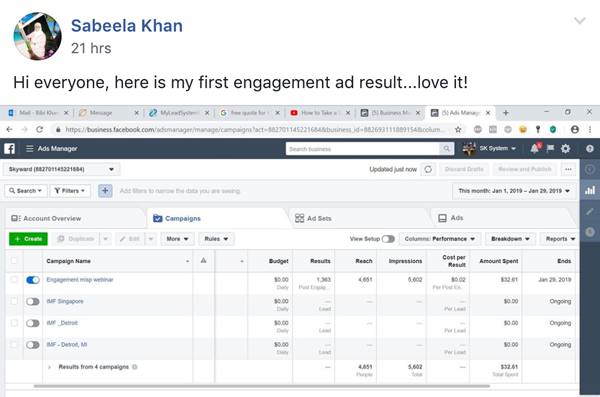 Sabeela Khan has been doing the work, taking action, and set up her first FB Engagement ad. And it looks like she's gotten things right! She grabbed up 1,363 engagements at just $.02 cents a click. Not bad out of the gate. Great job Sabeela. Keep going! 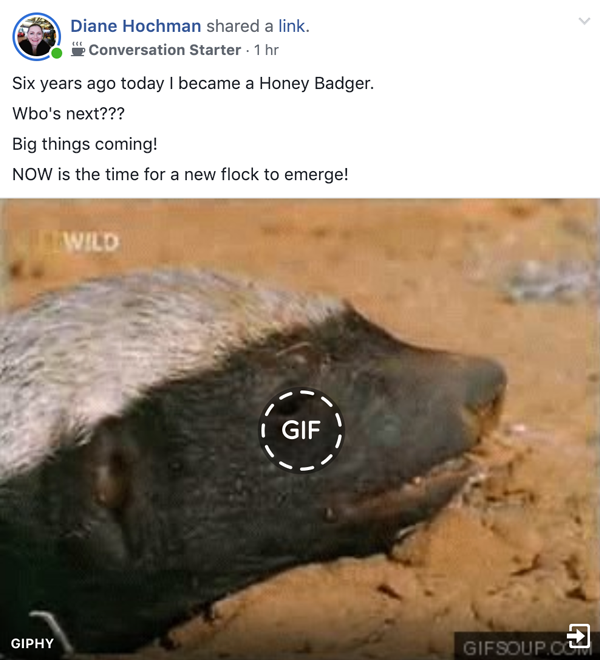 Diane Hochman celebrated six years of being a fierce Honey Badger this week. What's an MLSP Honey Badger? Those are the people who have hit L5 and beyond. Diane of course is now our top affiliate and one of only 2 L7 leaders inside of MLSP. This amazing leader wants YOU to see the same success she's been seeing, and knows that you can do it too! After watching Todd & Leah Gett's Instagram strategy, Stacey Hall took immediate action. The result was a follow from a big name. The best part is that she wasn't yet following them! 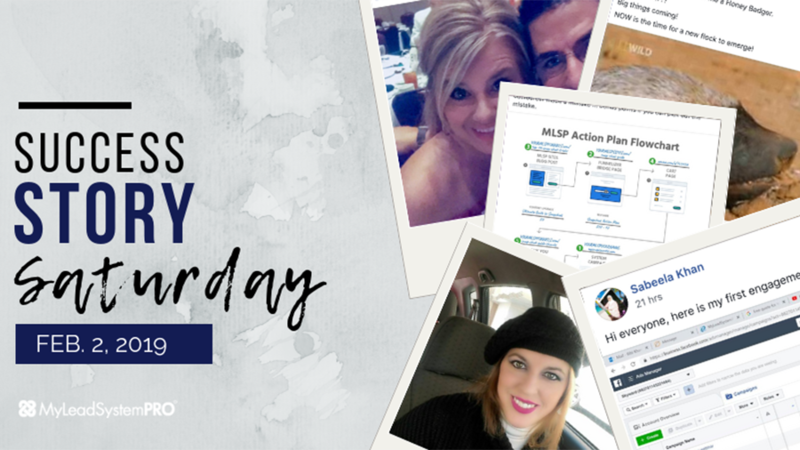 Check Out the Screenshots from Inside the Private MLSP Community from This Week!